2060 Palm Bay Rd NE. Welcome to BarbaraBurnerCPA. We provide public accounting and tax services in Brevard County concentrating on individuals and small to medium size businesses. The practice is designed to work directly with businesses to provide individualized attention to their business and personal needs. Our goal is to not only provide compliance services but the tools to effectively manage and grow your business. If you have a business and would like to have an accountant that you can depend on to provide guidance in area's that you lack in house expertise, contact us. 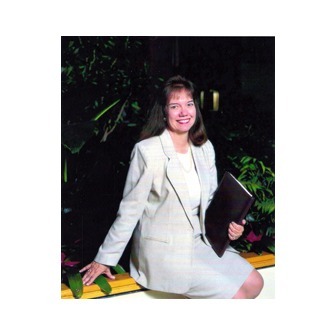 Barbara holds a Master's degree in taxation and served as President of the Florida Institute of Public Accountant's. "Helping keep an eye on your figures"
Working her way through Florida International University as a bookkeeper with Main Hurdman Cranston, Miami, Burner began building the network that would tie her to practically all the important movements in the profession of the past two decades. When she graduated with a B.A. in accounting in 1979, Burner earned her certificate and went to work for Deloitte & Touche forerunner Touche and Ross, Miami, in 1980. By 1982, she was a chapter officer for the FICPA's South Dade Chapter. That was just the beginning for Burner, who exemplifies professional and community service. Six years after joining the Institute, Burner garnered a coveted seat on the Board of Governors. Since then, she has presided over the South Dade Chapter, chaired six committees and several task forces, served on scores of others and played a role in every major decision affecting the Institute and profession since she decided chemistry didn't hold the same allure as accounting. Whether she's developing innovative public awareness campaigns or convincing young CPAs of the benefits of professional association, Burner's leadership philosophy is clear: "It's very important for us to devise ways to stay ahead of the curve. For the profession and particularly our members, we have to be able to drive the train and create opportunities instead of letting it run us over."